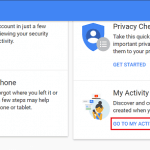 You are here: Home / Web Browser / How to Clear Chrome History ? How to Clear Chrome History ? Google Chrome stores the record of the sites you visited and make them available to you whenever needed. It is helpful for you when you want to revisit the page you previously visited but don’t exactly remember the name of the site. But sometimes you may be sharing the computer with other people, or you may be using the public computer in the workplace, cybercaf? or some other places. And you don’t want others to see what you search or browse on the internet. Clearing Chrome Browsing history is very important. It not only keep up your privacy but also improves the performance of Google Chrome. We are here to tell you how to delete browser history from Google Chrome. However, if you don’t want the Browser to keep track of the sites you are visiting, you can use Private mode. To go to the incognito mode in Google Chrome click on menu option (three dots arranged vertically) at the top right corner of the page and from the drop-down list click on New Incognito Window. The shortcut key to reaching to the new incognito mode is Ctrl+Shift+N. Google Chrome keeps the history of whatever you have browsed for last 90 days. It excludes the web you have visited through incognito mode. Google Chrome won’t use your browsing history, so you haven’t to delete Google Chrome browsing history under incognito mode. Open the Google Chrome application. On the top right corner of the page, you will see three dots arranged vertically. Click on that menu icon. A Drop-down list will appear. From among the menu click on history option. IF you want to escape all the above steps then “Ctrl+H” is the shortcut key to view your browsing history. How to Clear Chrome History? Go to Chrome history using short-cut key ‘Ctrl+H’ or from the menu tab on the top right side of the page. 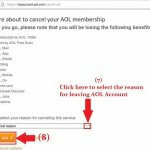 You will be provided with the options of clear browsing data and remove selected items. If you want to clear chrome history selectively, then choose and tick on the list individually. And click ‘Remove selected items’ option next to Clear browsing data. Click ‘Clear browsing data’ if you want to clear history on bulk. 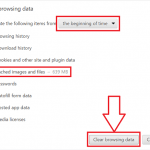 Under clear browsing data, you can choose the time from where you want to delete your history. If you want to remove the entire history, then select the beginning of time option. Since you are deleting browsing history; make sure that the Browsing History option is selected. 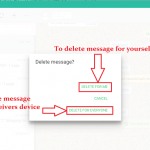 Besides this, you can also choose other things you want to remove, like Download history, Cache and so on. 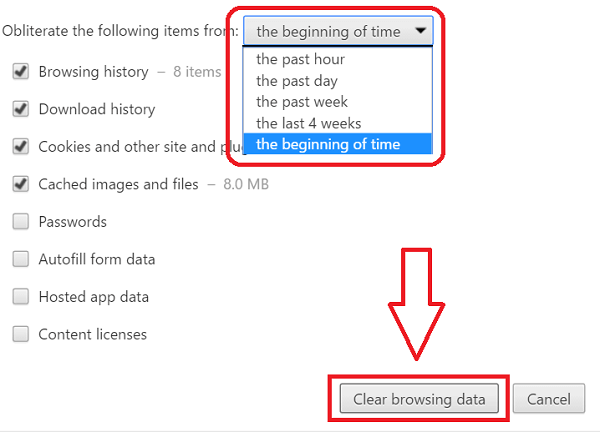 After you are done selecting the things to be erased and the time from when you want to delete click on Clear browsing data at the bottom of the page. All your Browsing data stored on Google Chrome will be erased permanently. 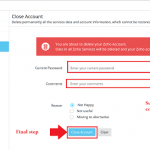 How to Clear Cache on Any Web Browser?